Bone Builders is an innovative community-based program designed to promote bone health and overall well-being for both men and women. The program is currently fully supported by The Village at Waterman Lake, whose co-owner, Diane Caruso, has been a Bone Builder volunteer, class leader and organizer for more than ten years. A BoneBuilder Master Trainer, Diane is so inspired by the results of BoneBuilders that several years ago she led trainings at The Village in order that we might offer classes to all Village residents. She has since expanded her vision, committing both time and resources to bringing the benefits of the BoneBuilders to people throughout the state of Rhode Island. Diane’s direction and encouragement has enabled The Village to successfully offer complimentary Bone Builders classes to the general public for more than three years. The Tuesday and Thursday morning class has been attended by dozens of participants, each experiencing various benefits, including better mobility, improved posture, weight loss, reduction in medications, and improved general well-being. You may have heard of Bone Builders. Perhaps you’ve seen it featured on news media. Dr. Miriam Nelson, whose intense research the program is based upon, has appeared on the Oprah Winfrey Show, the Today Show, Good Morning America, CNN, Fresh Air, and the Discovery Channel. She has written a number of international best-selling books including Strong Women Strong Bones, Strong Women and Men Beat Arthritis, and others. The program is designed to be easily modified for each individual participant. The availability of multiple weight sizes allows all participants to start in their comfortable range of exertion and steadily progress as they get more comfortable with their ability. After more than a year of offering the program we’re excited to conclude that wellness is exactly what is achieved! All classes are operating on a donation basis with participants happily donating $2 per class. This donation helps defray the costs associated with the program. Consider joining or even leading a class today! 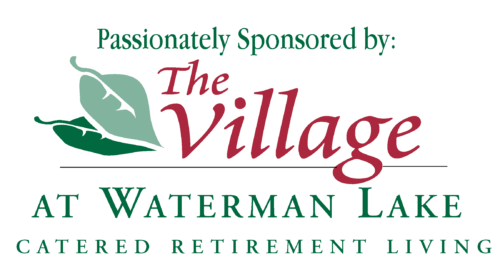 To learn more about this exciting program and The Village’s passionate efforts to bring classes to individuals throughout Rhode Island browse our site or call John Dionne, Program Development Liaison at The Village at Waterman Lake at 401-949-1333 | Become a Member or Get Information for Leader Certification today!